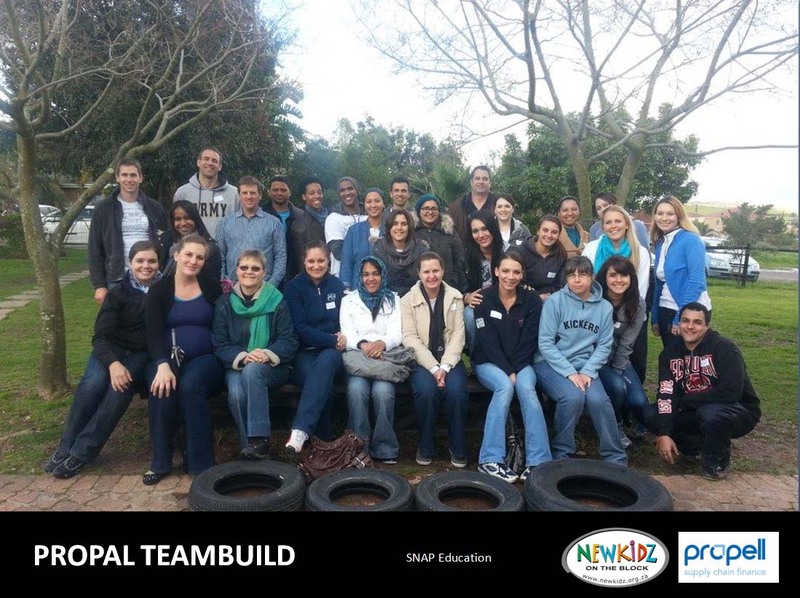 Are your staff tired of the same old teambuilding? 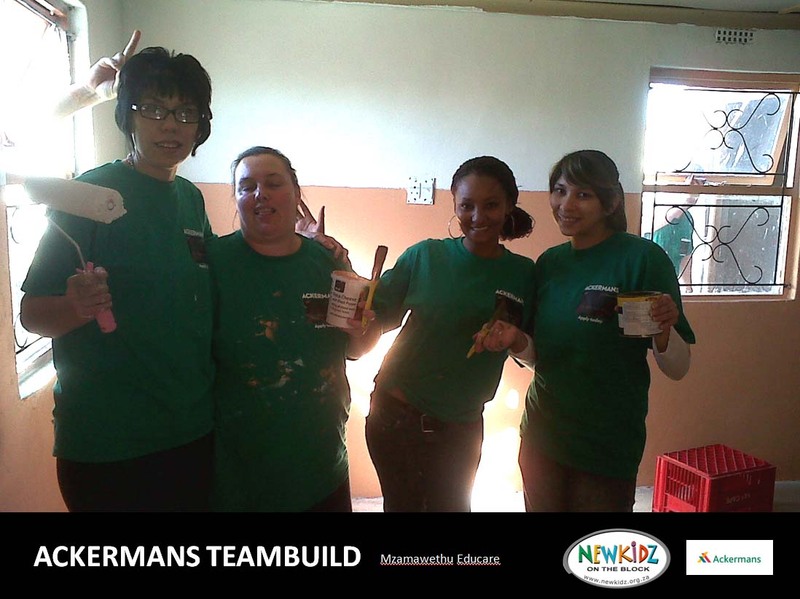 Its time to be different! 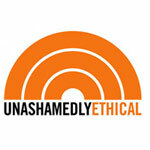 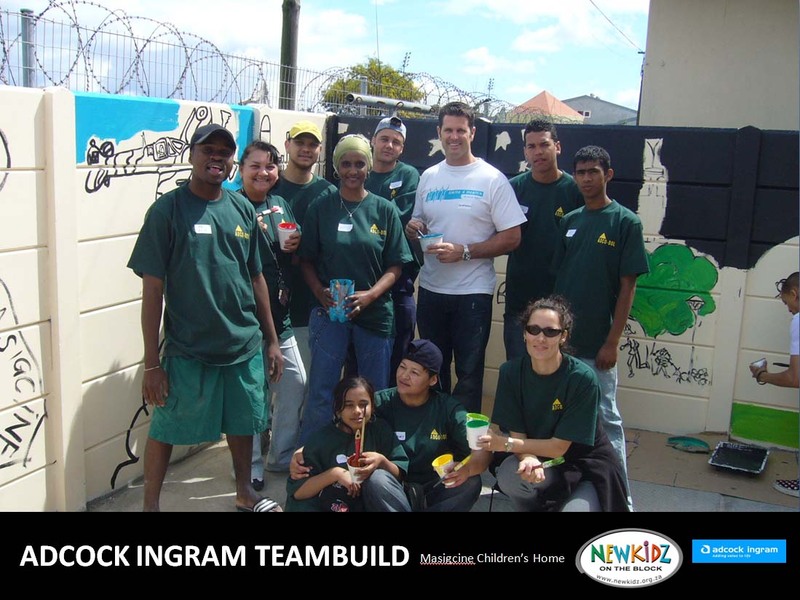 Have the time of your lives, while changing the lives of others! 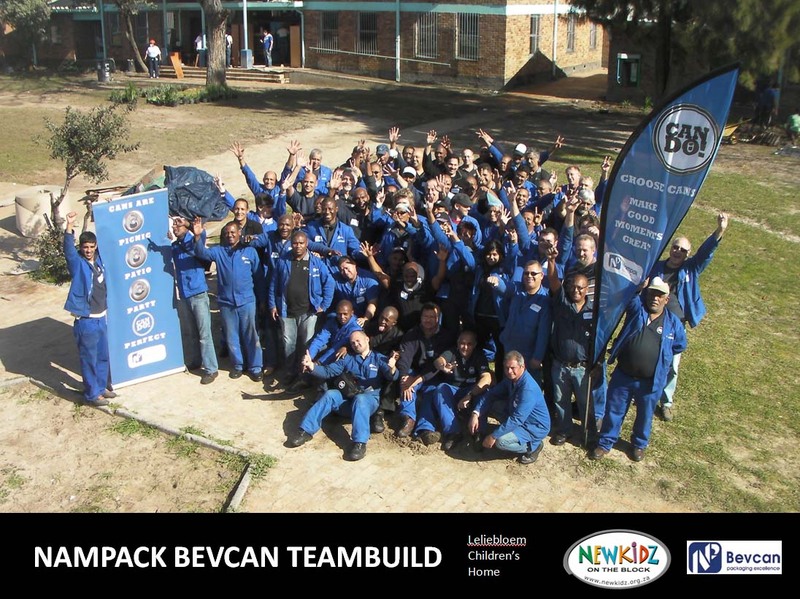 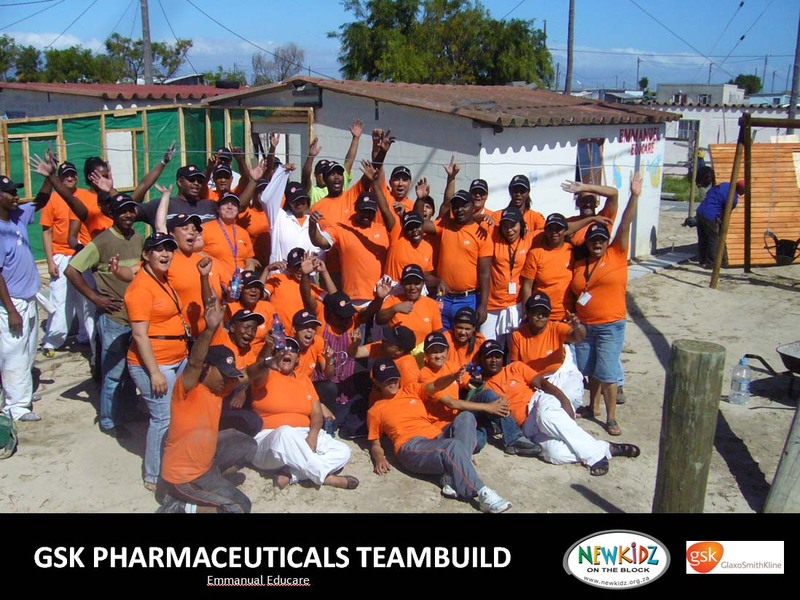 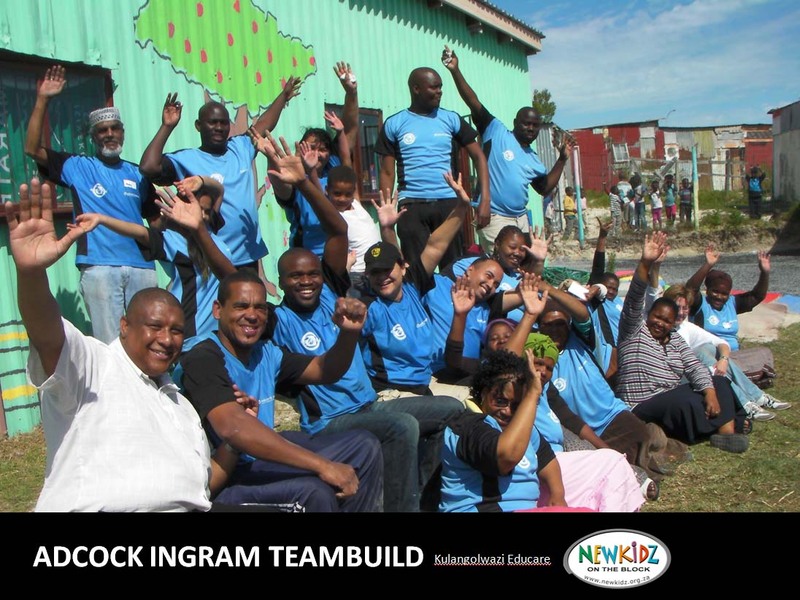 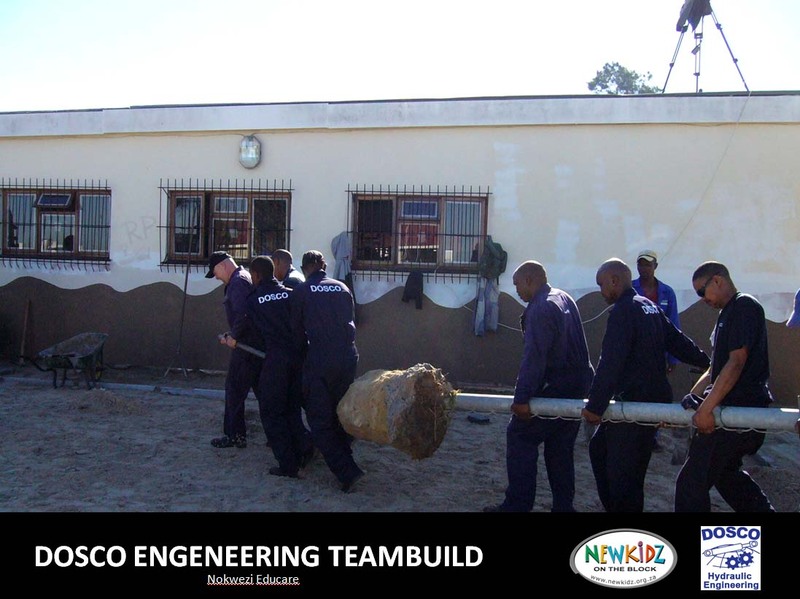 Working as a TEAM is vital…and what’s better than working together for something GOOD! 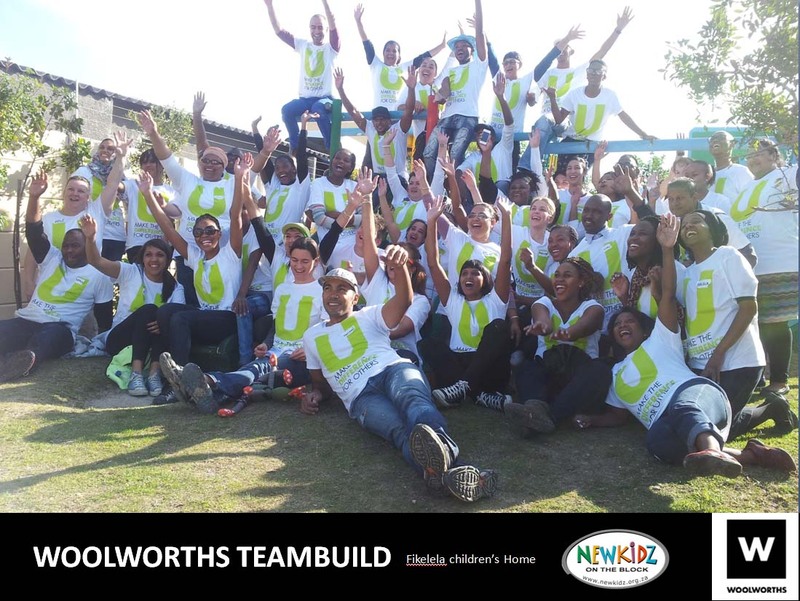 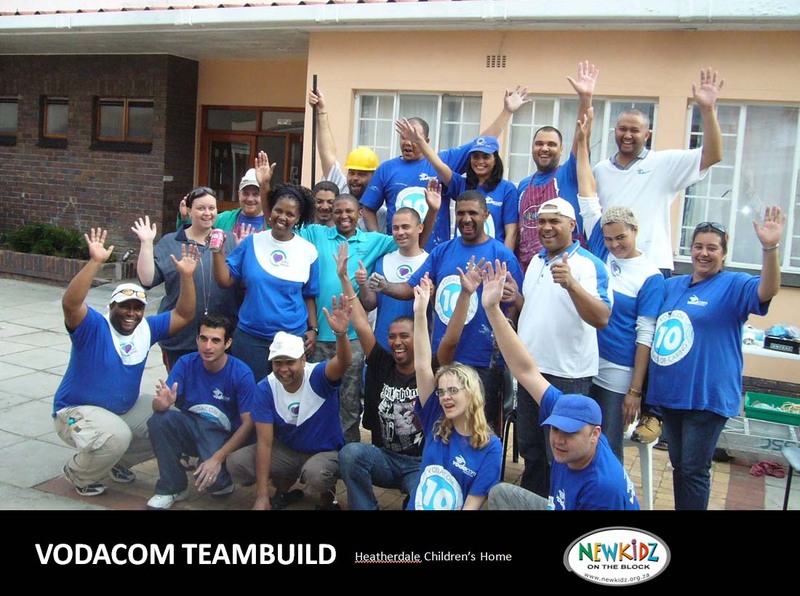 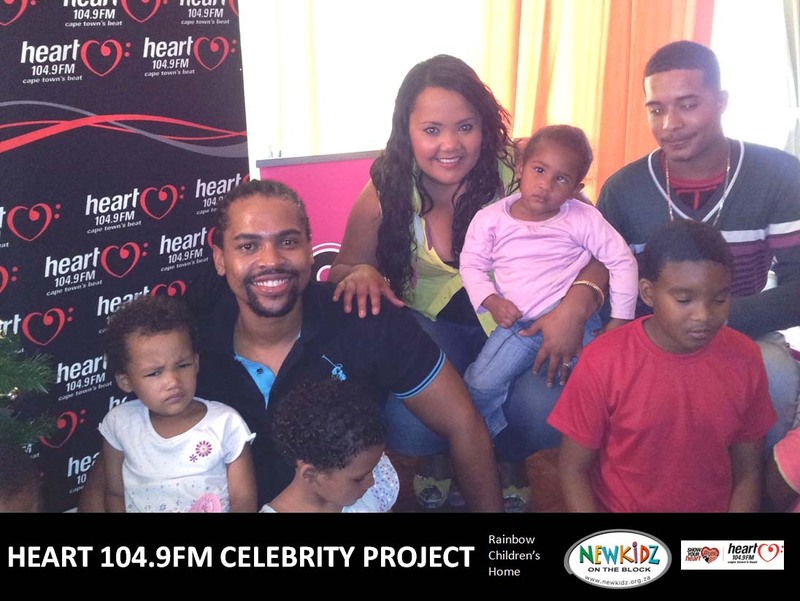 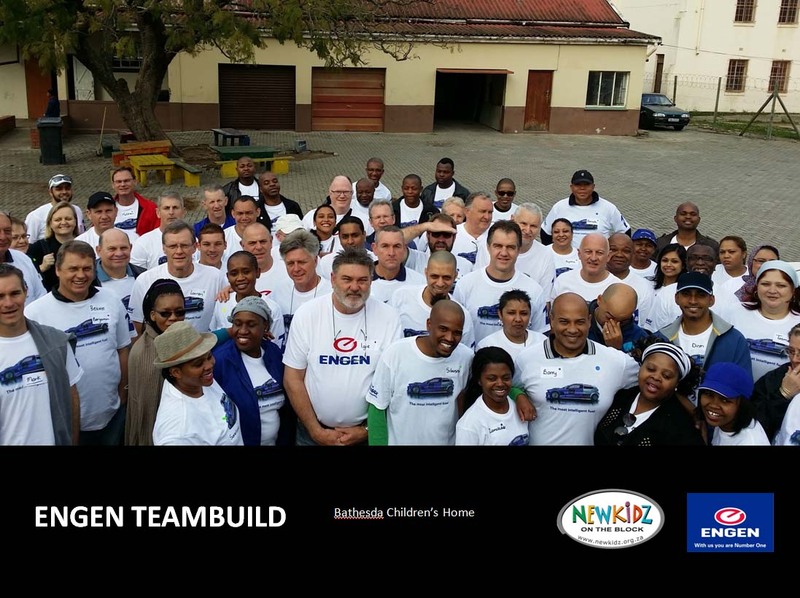 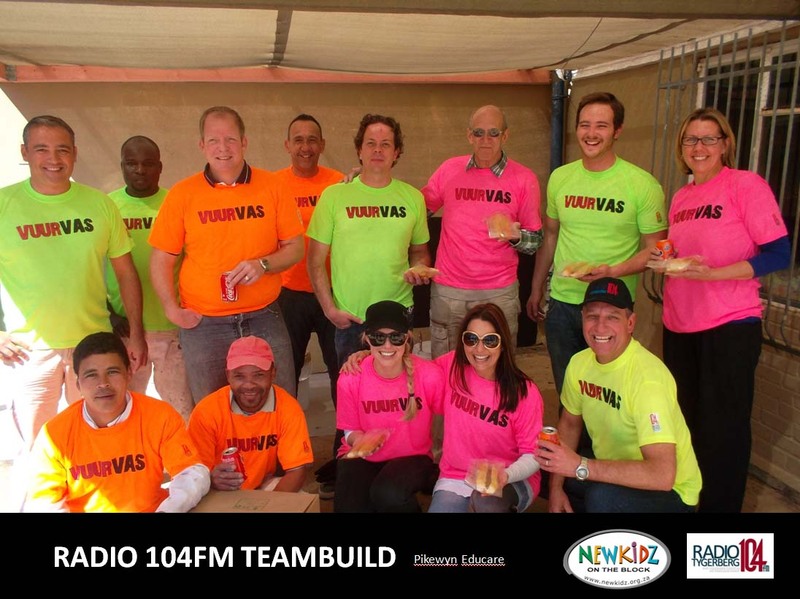 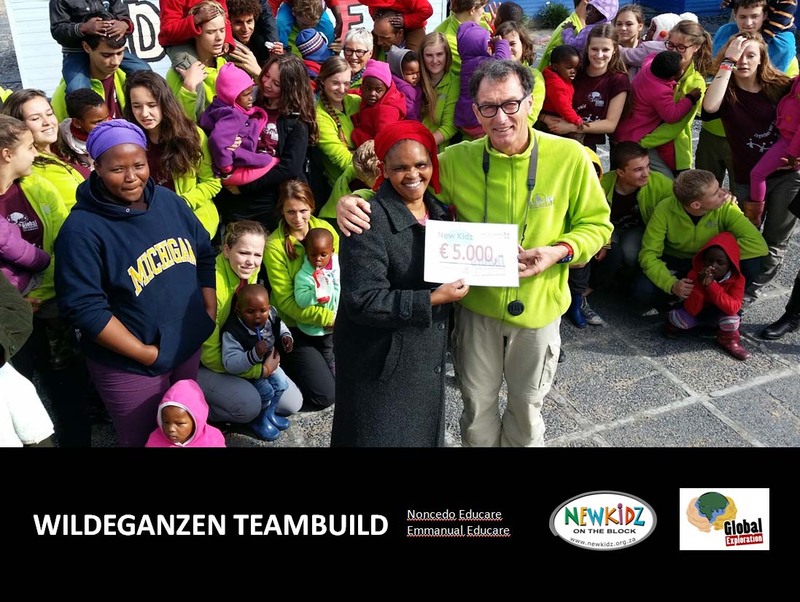 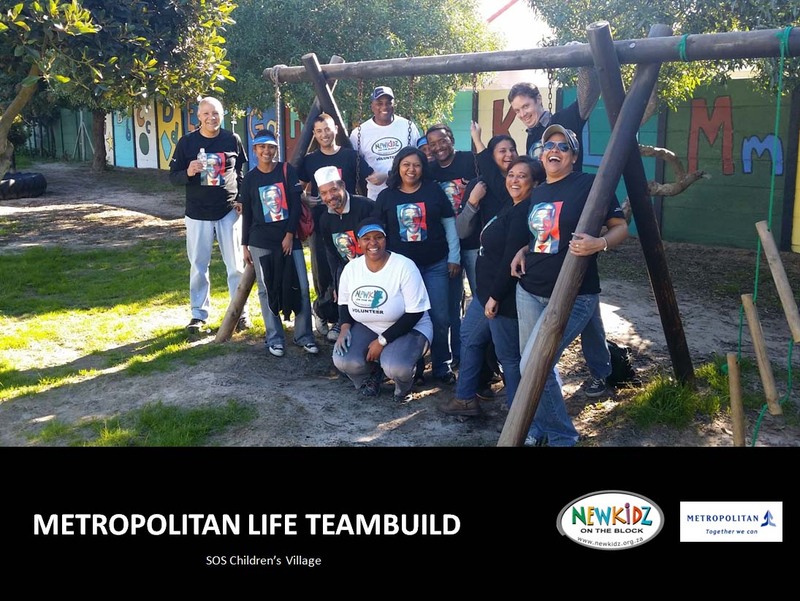 The vision of Newkidz is to create awareness and support of orphans, vulnerable and destitute children in South Africa in the hope that many of them will be integrated into loving family homes. 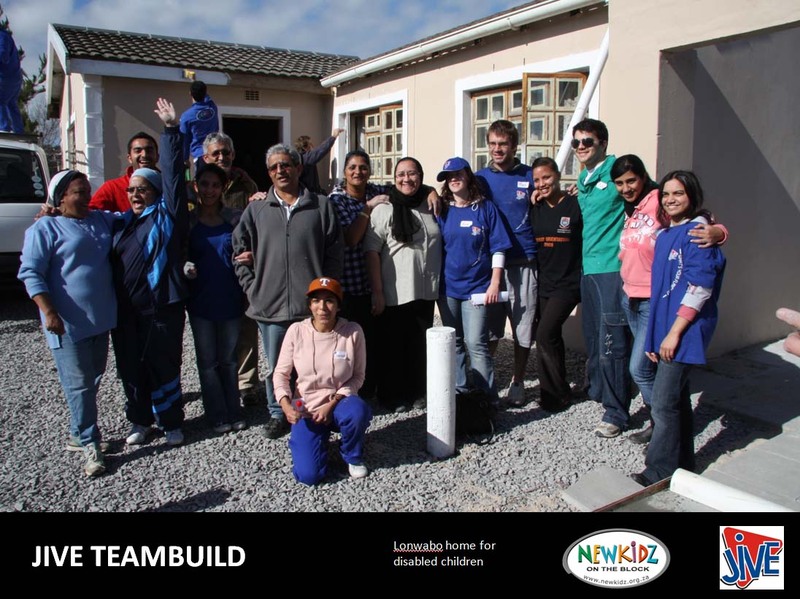 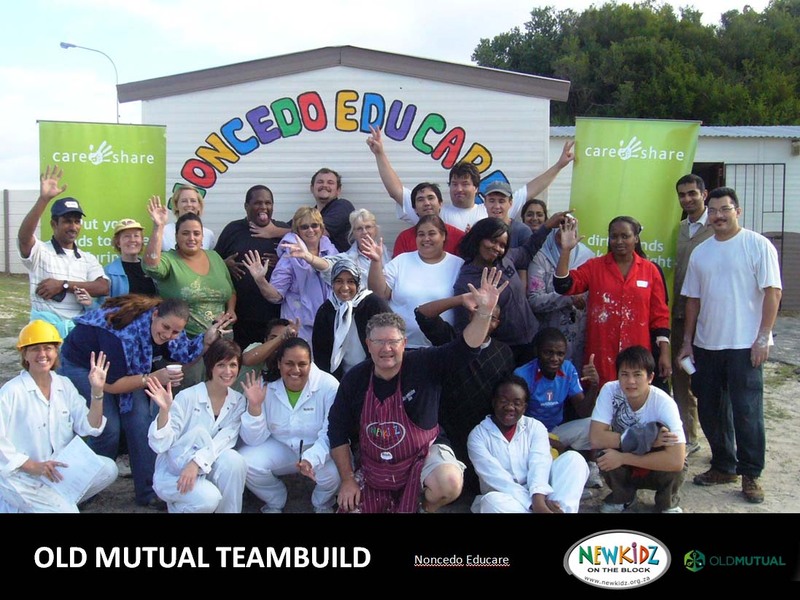 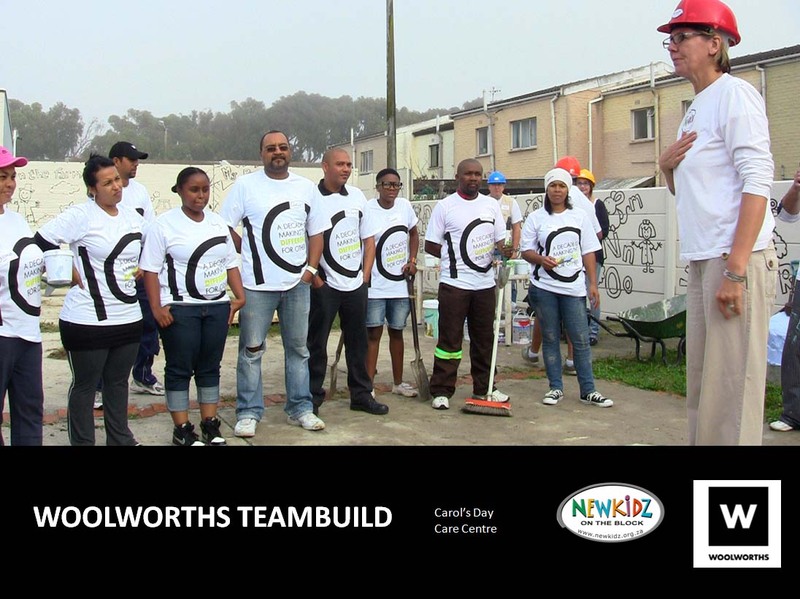 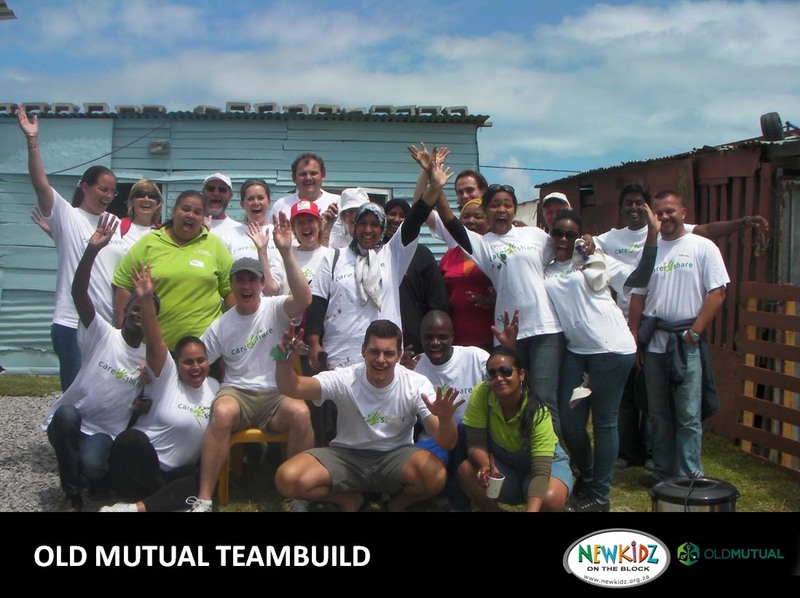 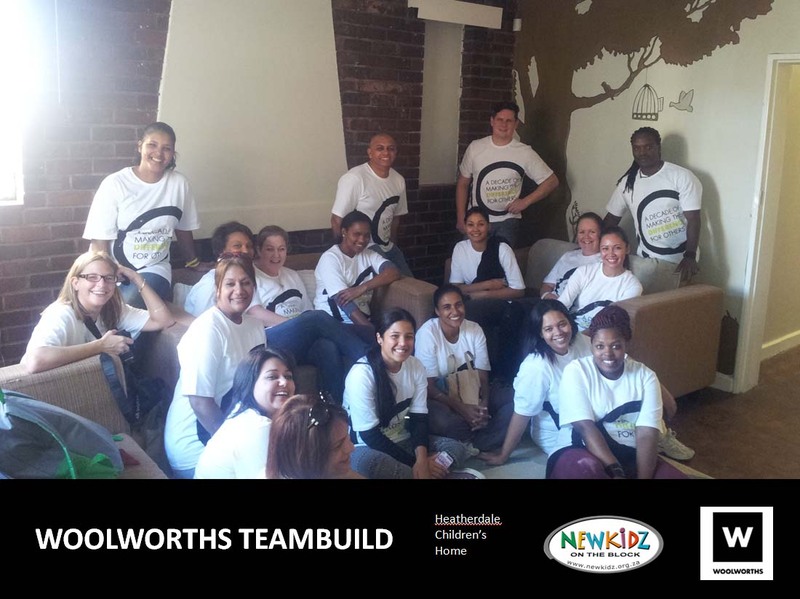 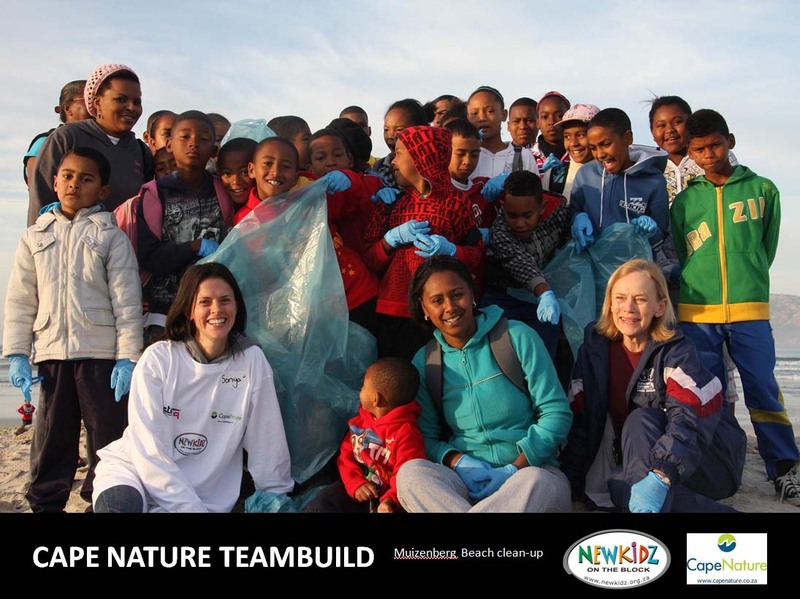 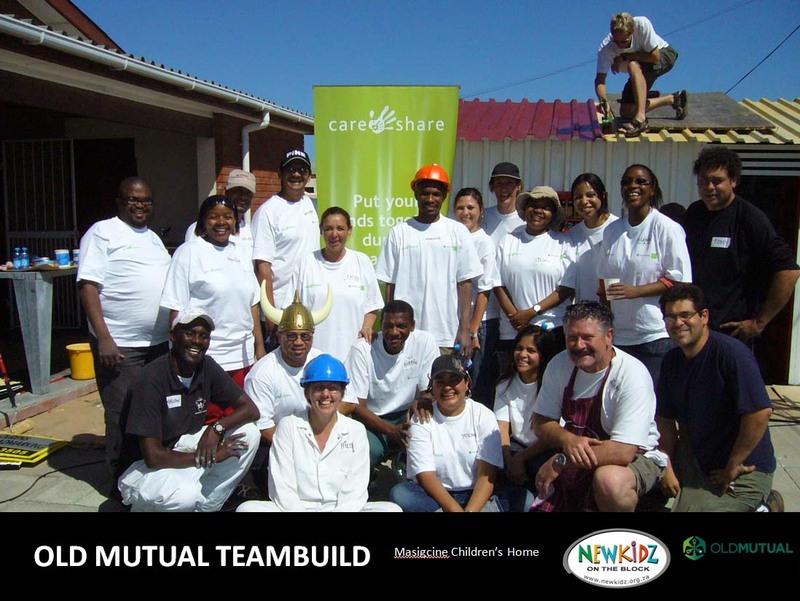 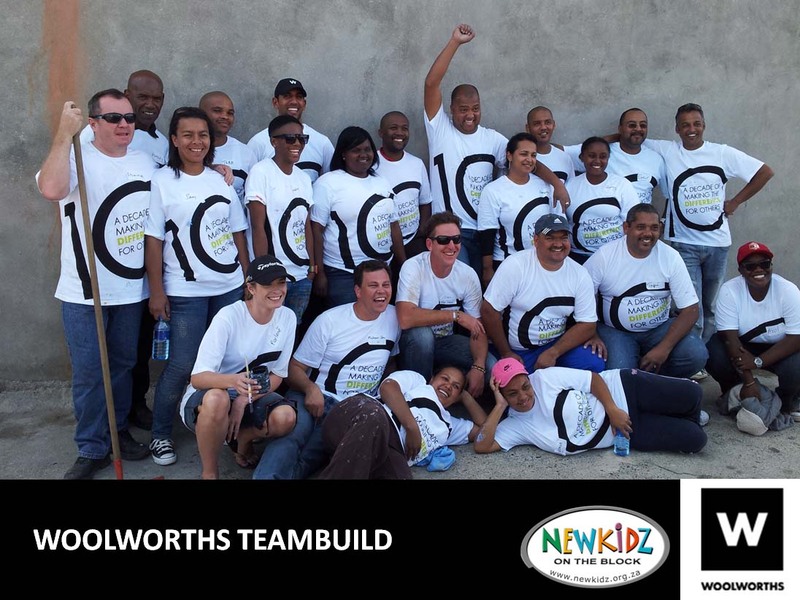 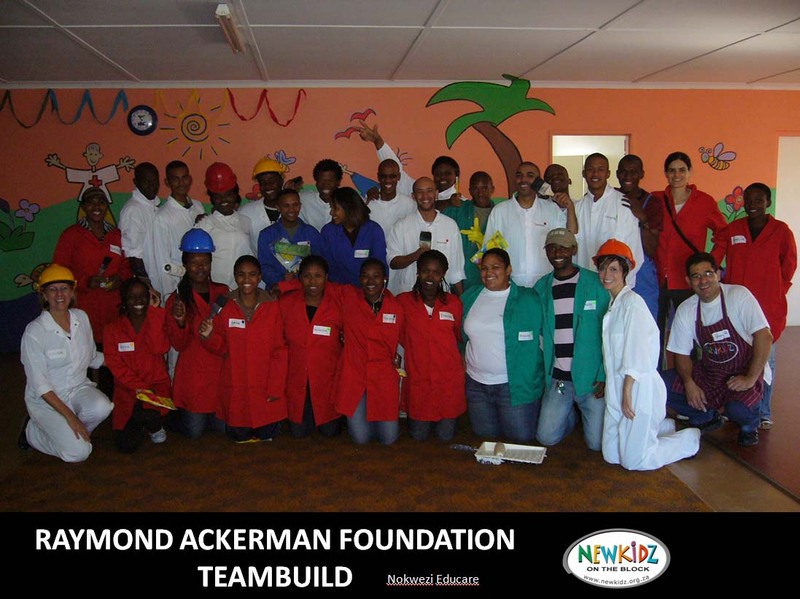 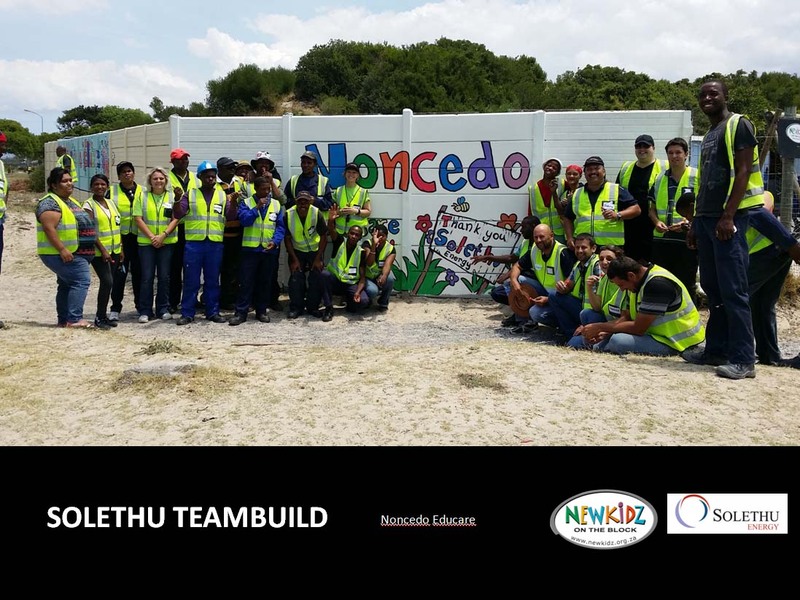 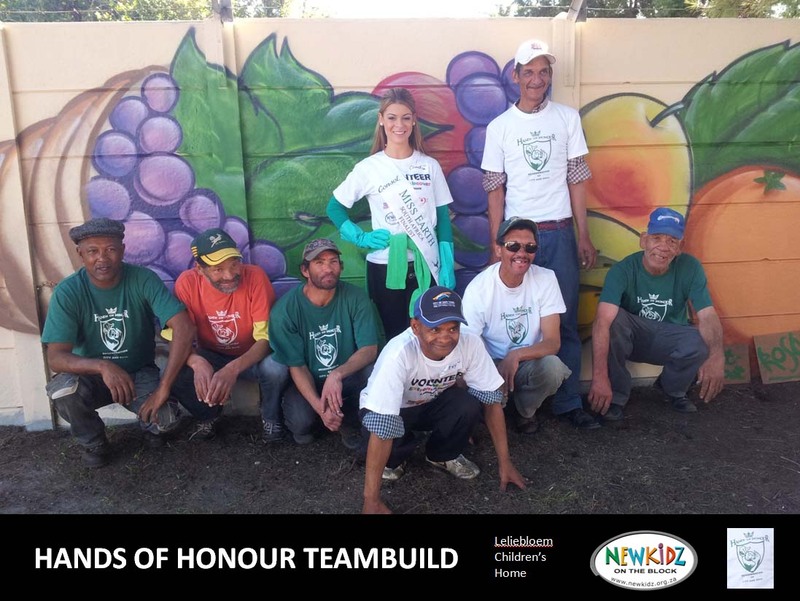 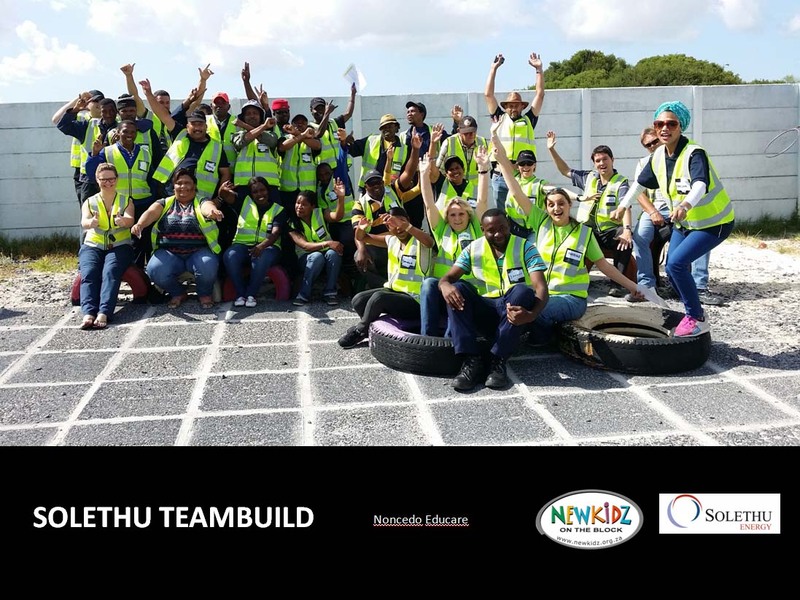 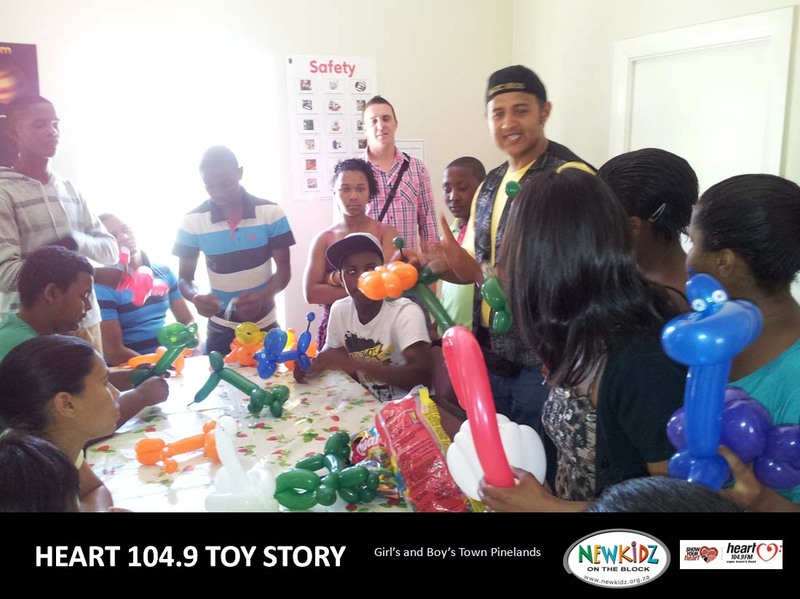 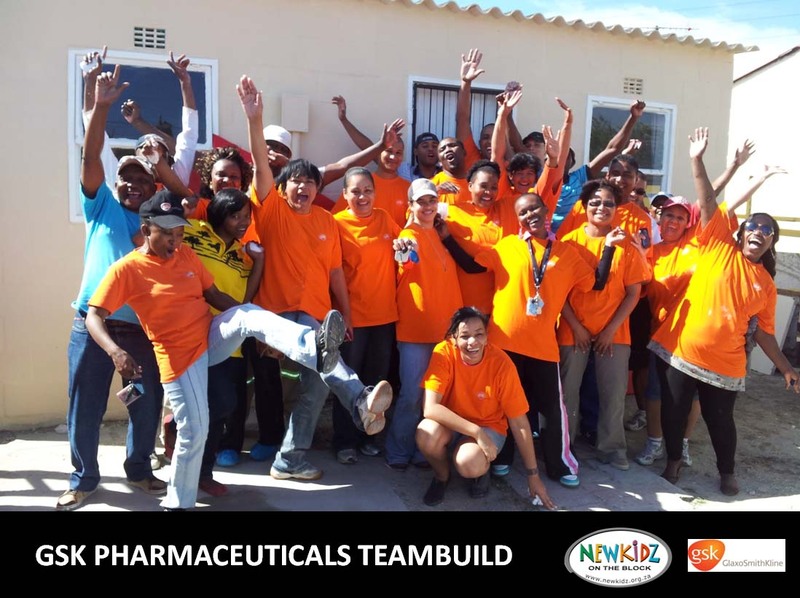 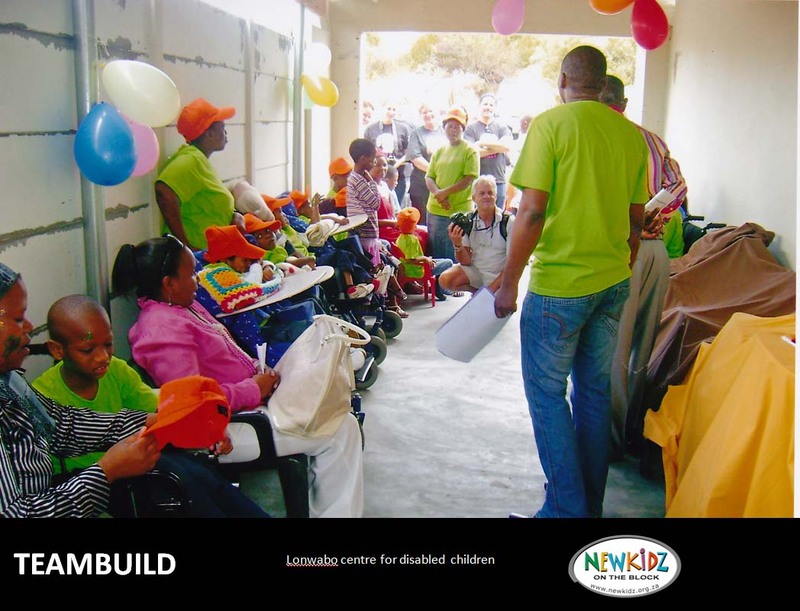 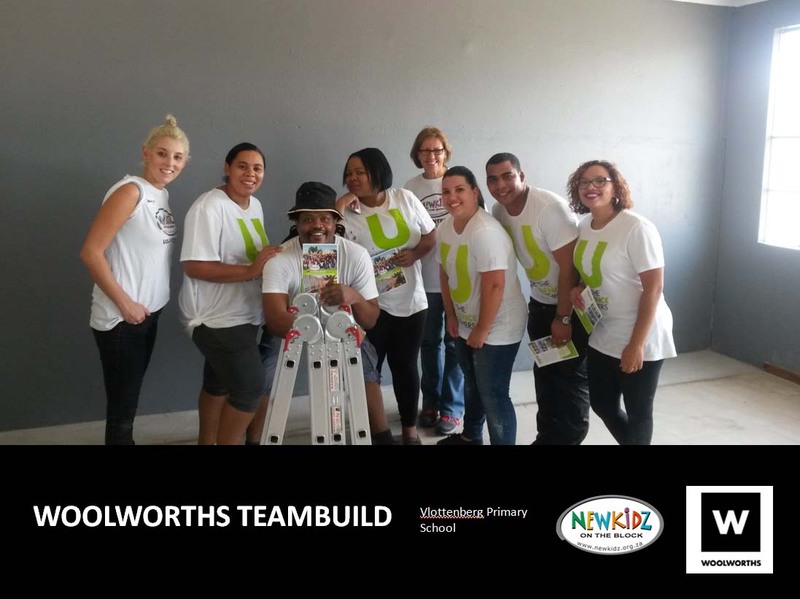 We have identified that many centre that care for these children, do not have the means to do much needed maintenance work to their buildings and so, Newkidz on the Block uses the vehicle of makeovers to upgrade these centres. 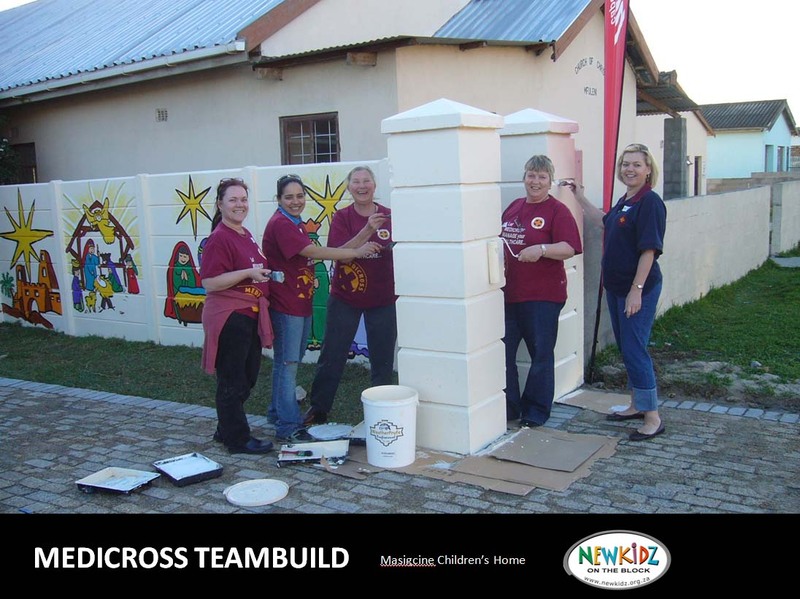 All paint, materials and tools required to complete the work. 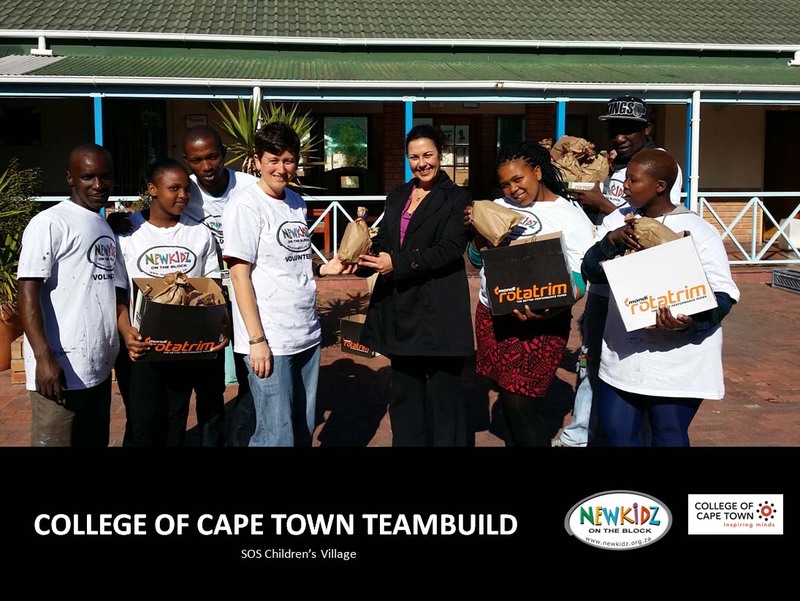 Refreshments for all delegates. 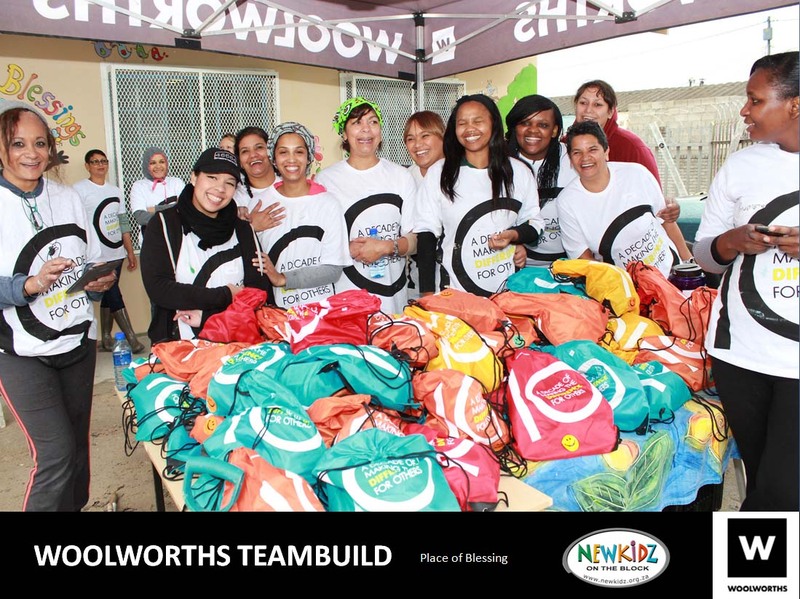 (tea, coffee and rusks on arrival and individual snack packs including bottled water). 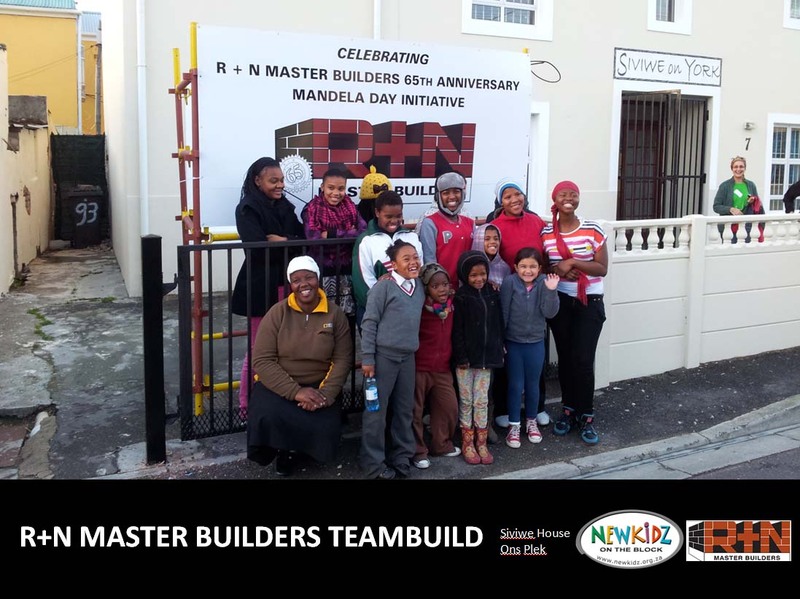 Photographs taken through-out the make-over project will be shared. 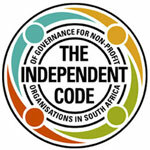 A certificate of participation for each delegate. 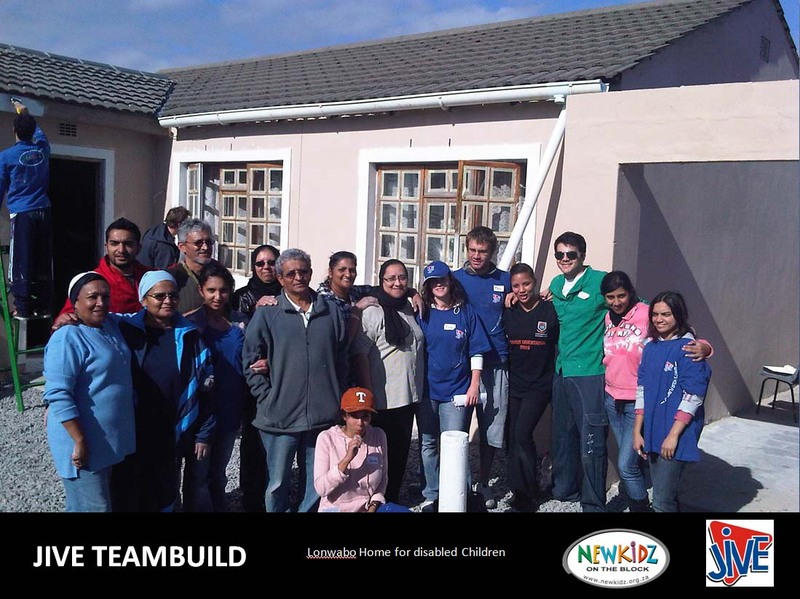 A Section 18A donations Tax certificate for funds received towards the project. 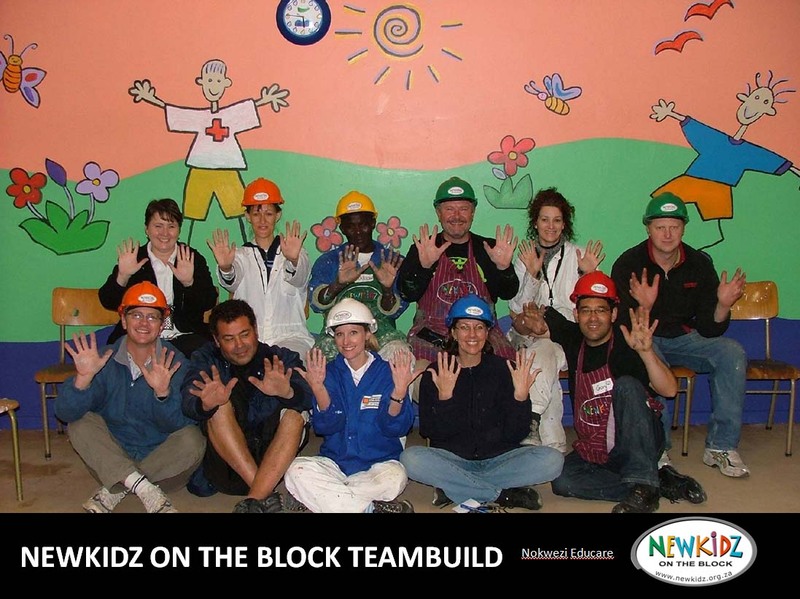 Company branding on Newkidz website and social media platforms. 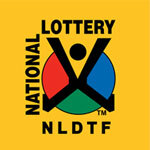 A once off fee of R500.00 per 20 delegates (or part thereof) for consumables. 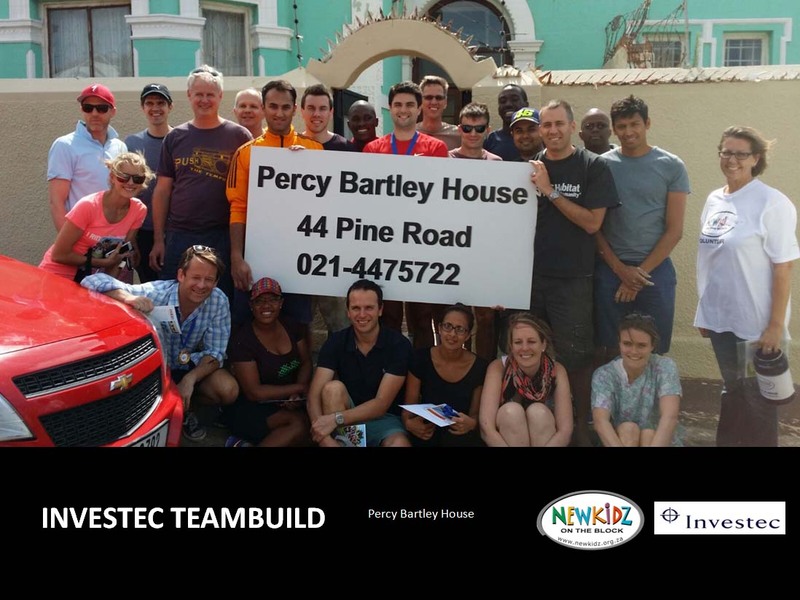 Transport of delegates to and from the project. 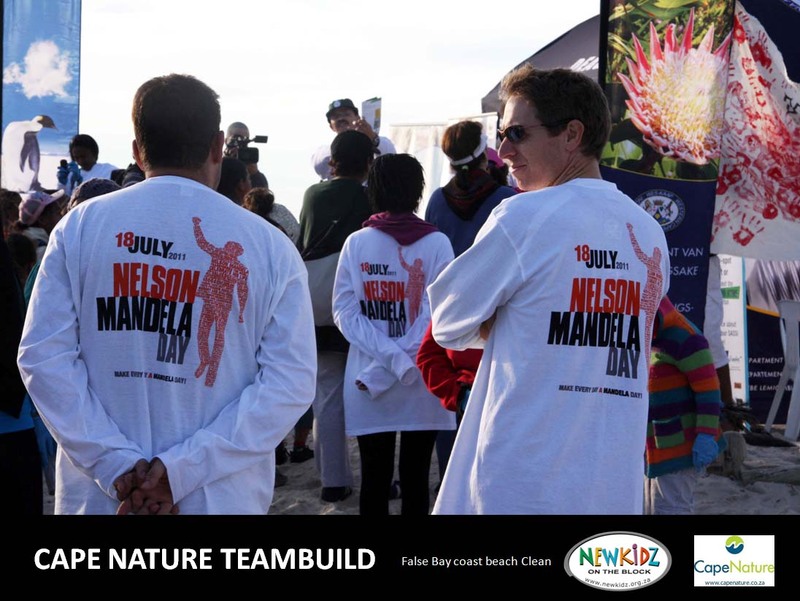 Protective clothing for the delegates. 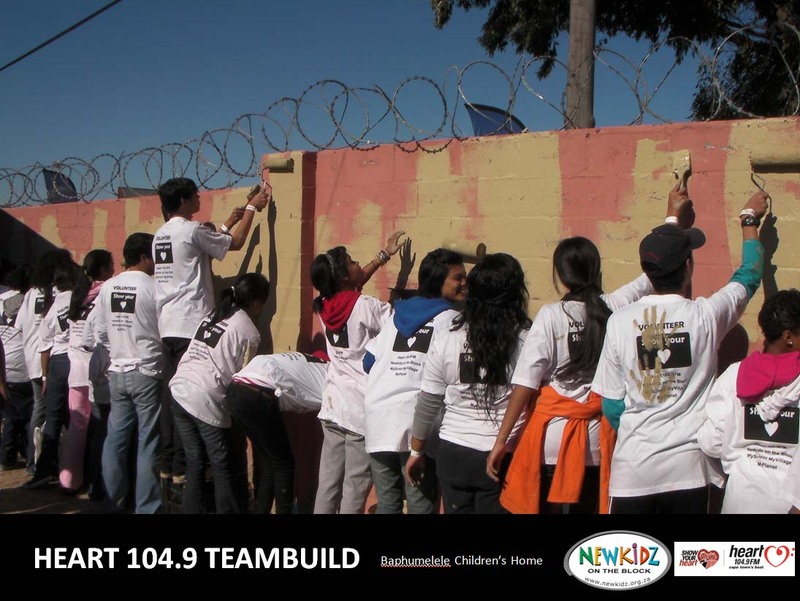 A Mural Artist – This can be arranged at an extra cost. 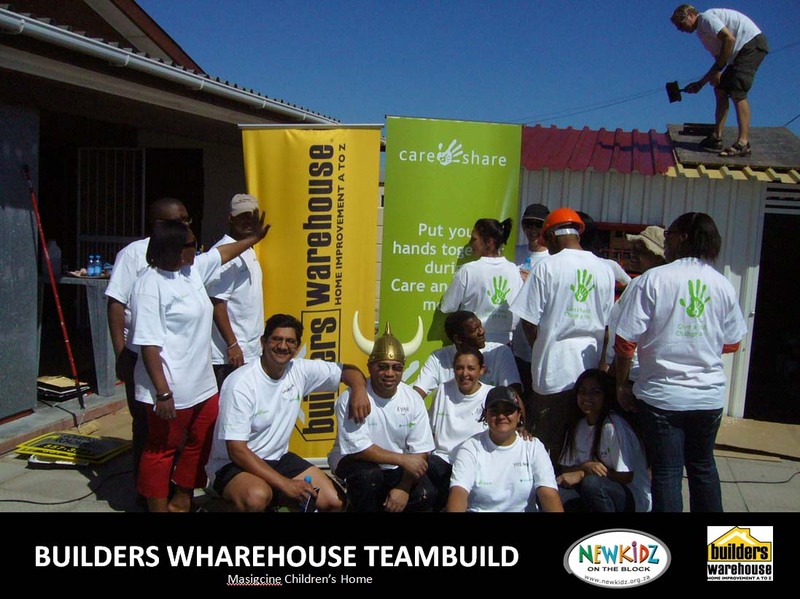 Soft finishes (bedding, curtaining etc) – This can be arranged at an extra cost. 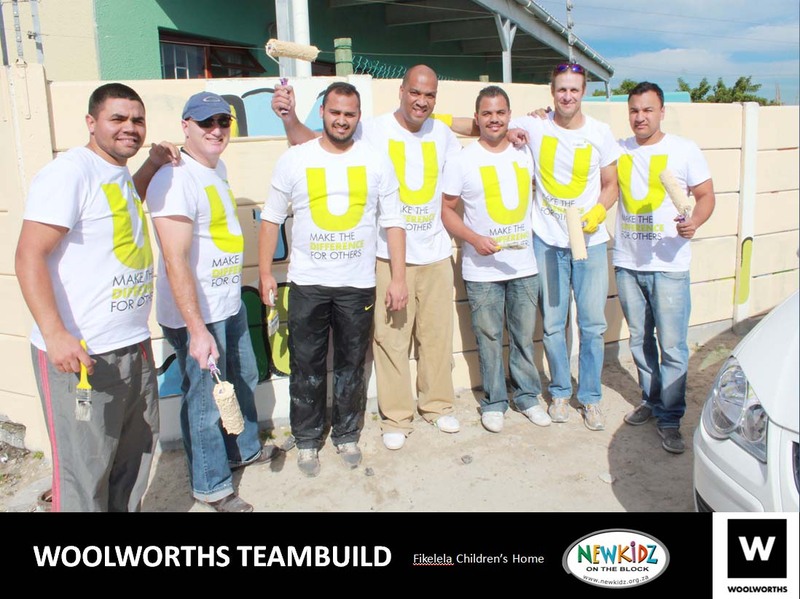 Any form of plumbing, flooring, carpentry or electrical work – This can be arranged at an extra cost. 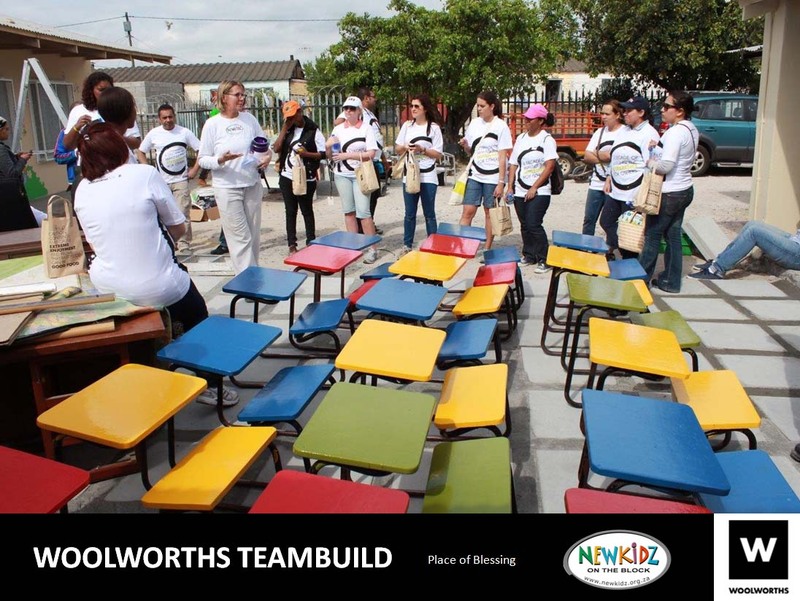 Newkidz will debrief the group, overview of Newkidz, the project and house rules prior to starting their work. 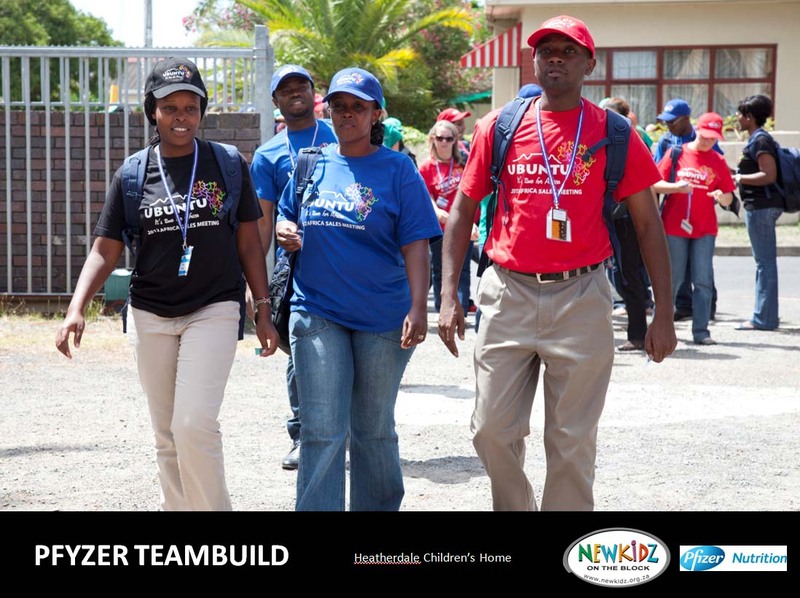 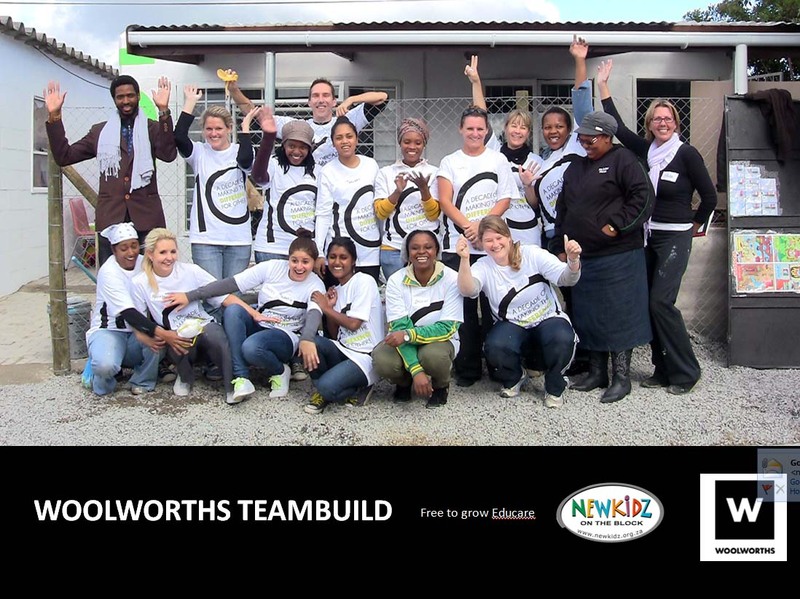 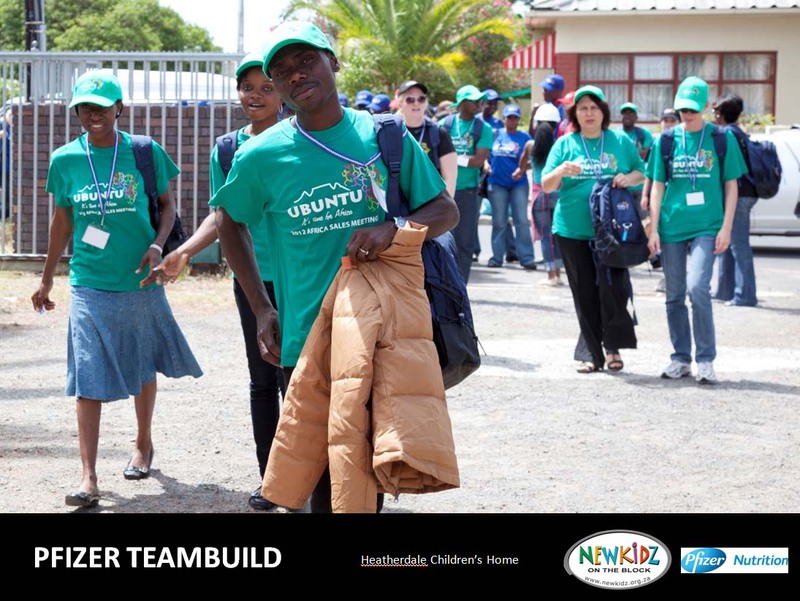 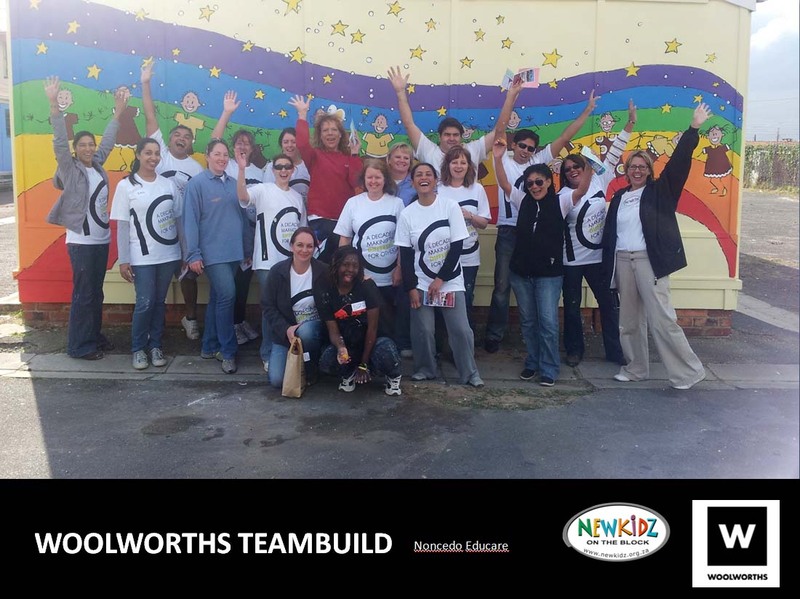 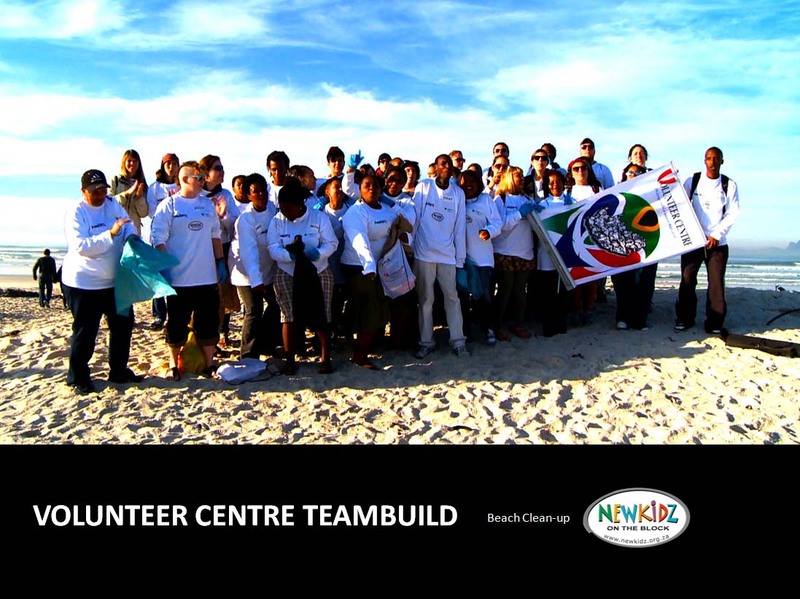 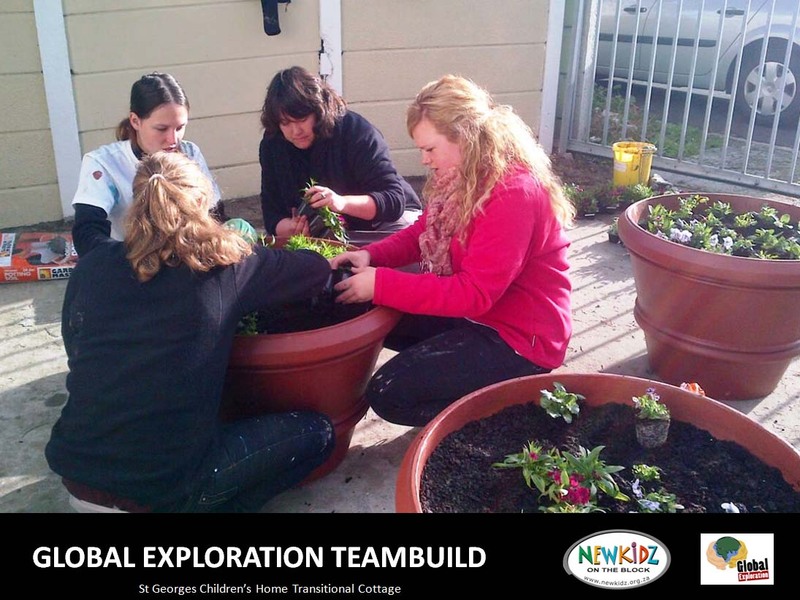 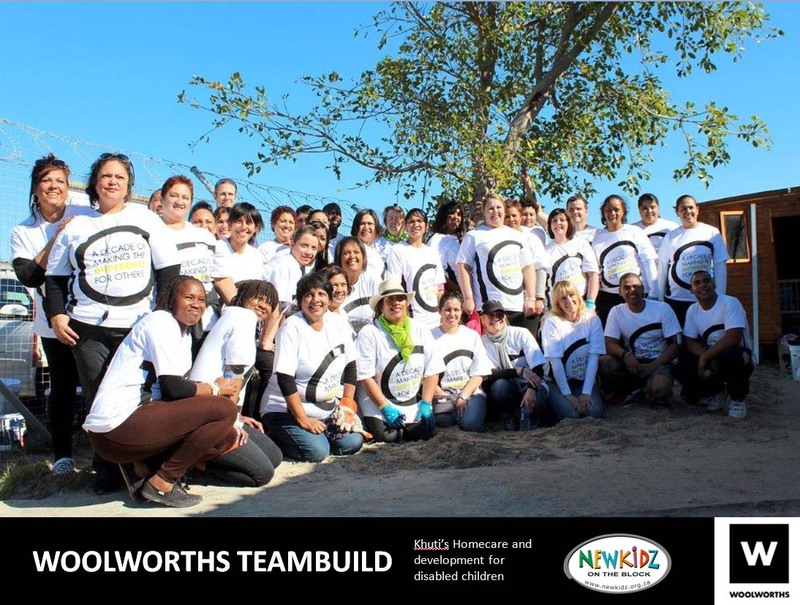 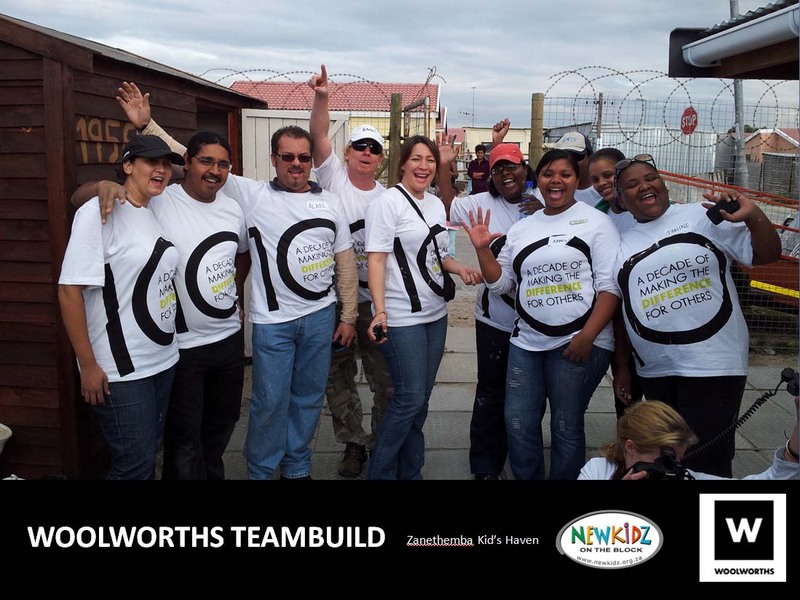 Newkidz team leaders will be on site throughout the project and will co-ordinate the day’s program. 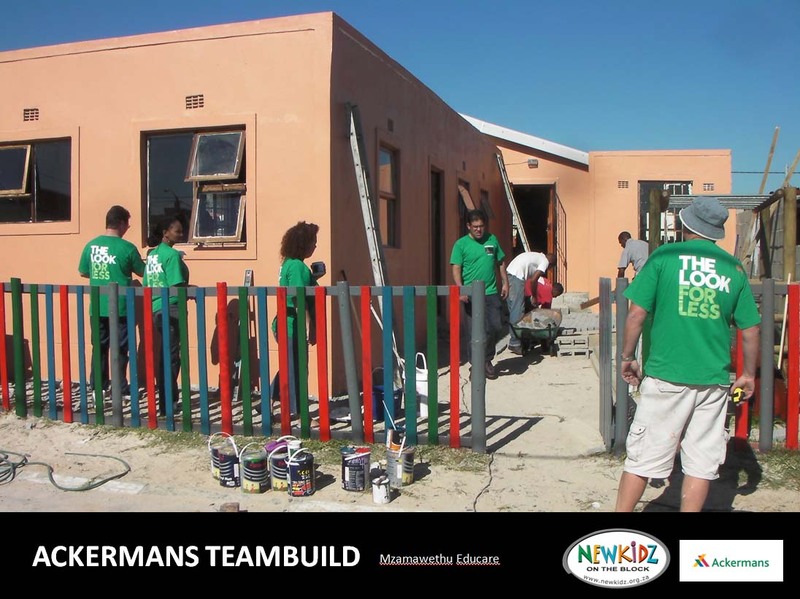 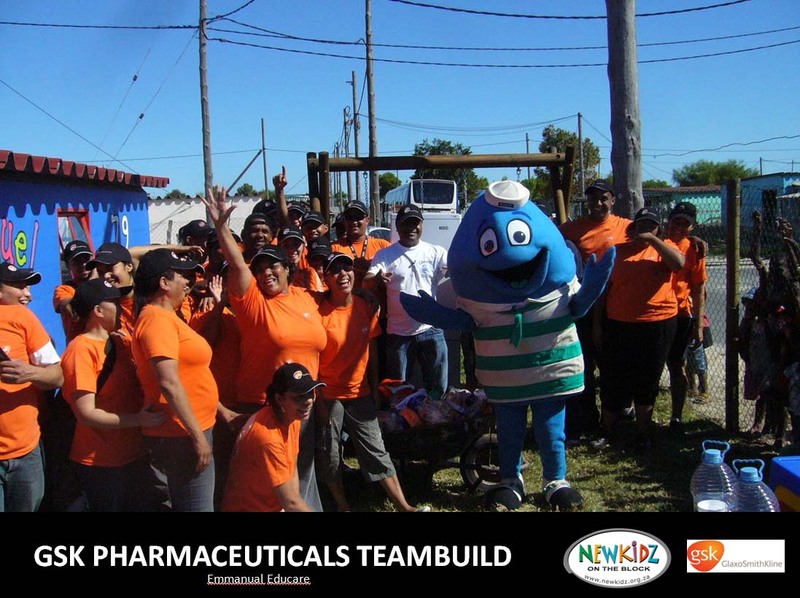 Newkidz will ensure that all material & equipment needed are on site on the morning of the project. 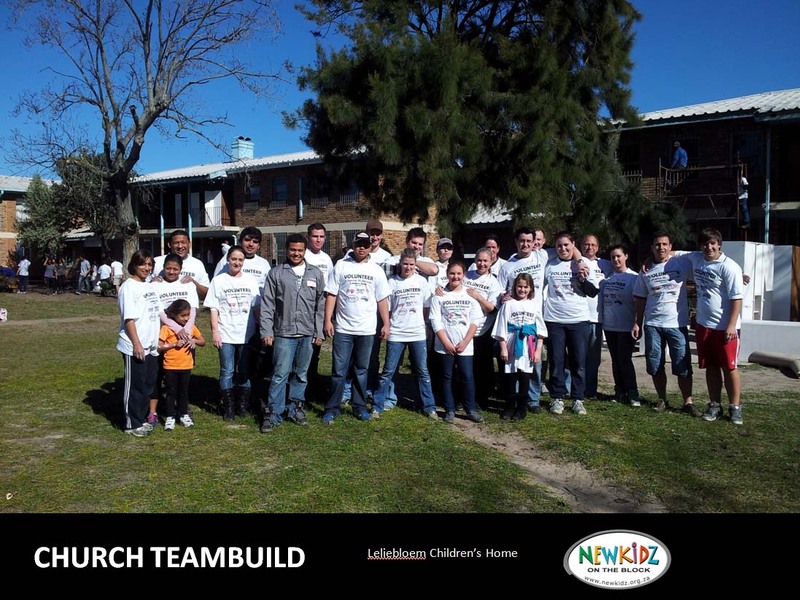 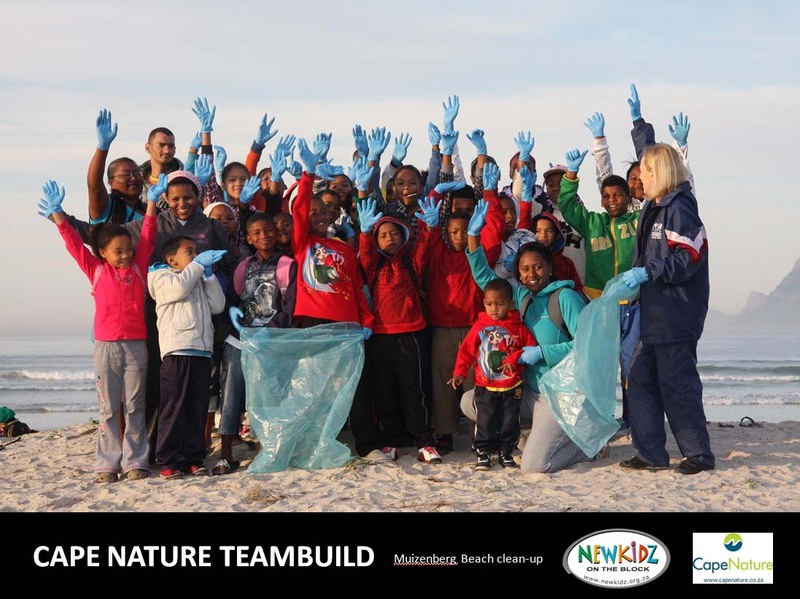 Newkidz will divide the team into groups, each with a Newkidz team leader. 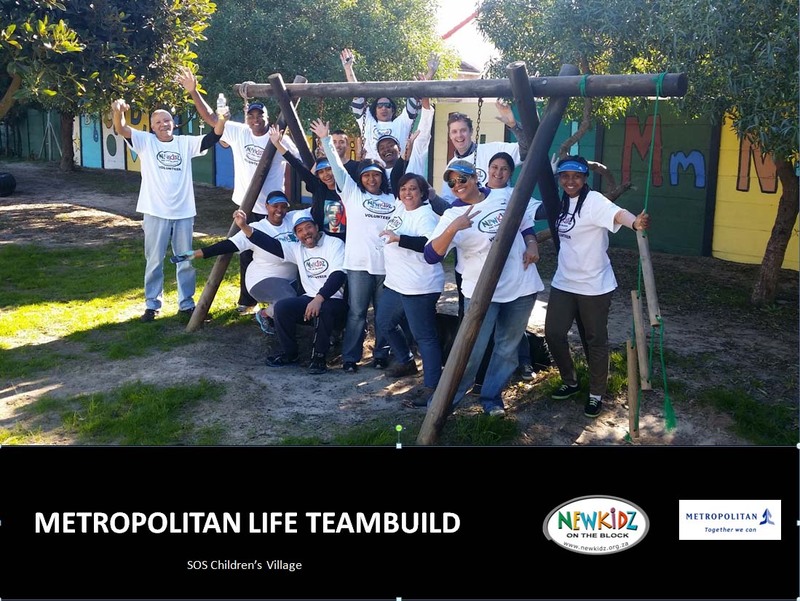 Newkidz will report back with a financial analysis at the end of the project for accountability and transparency purposes. 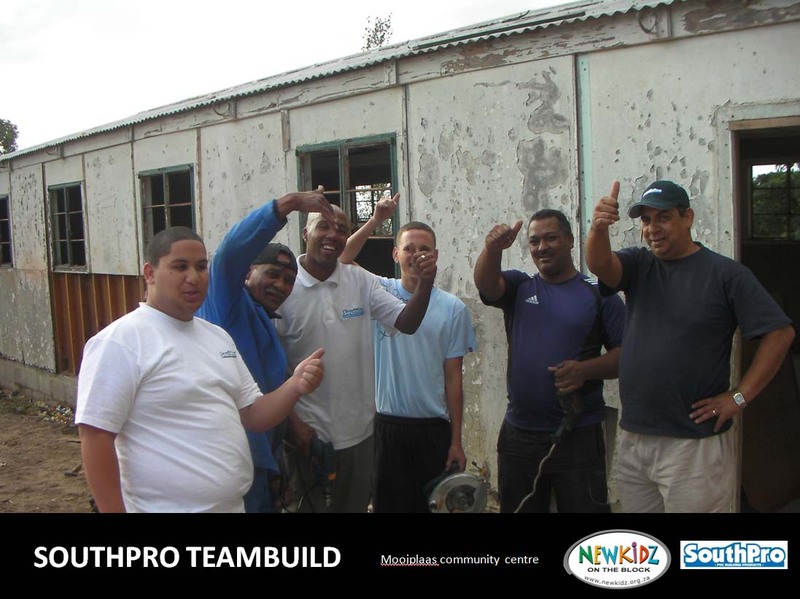 All plumbing, flooring, carpentry or electrical work as required. 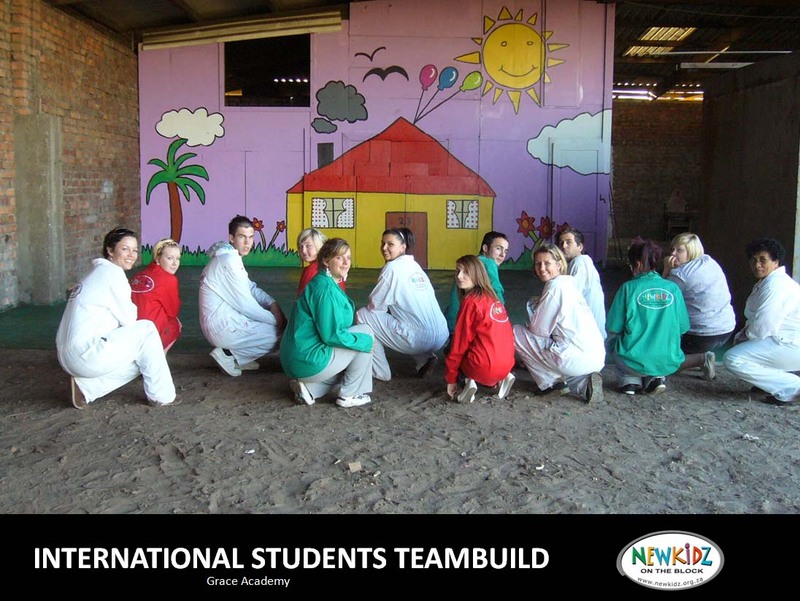 A Mural Artist, if required. 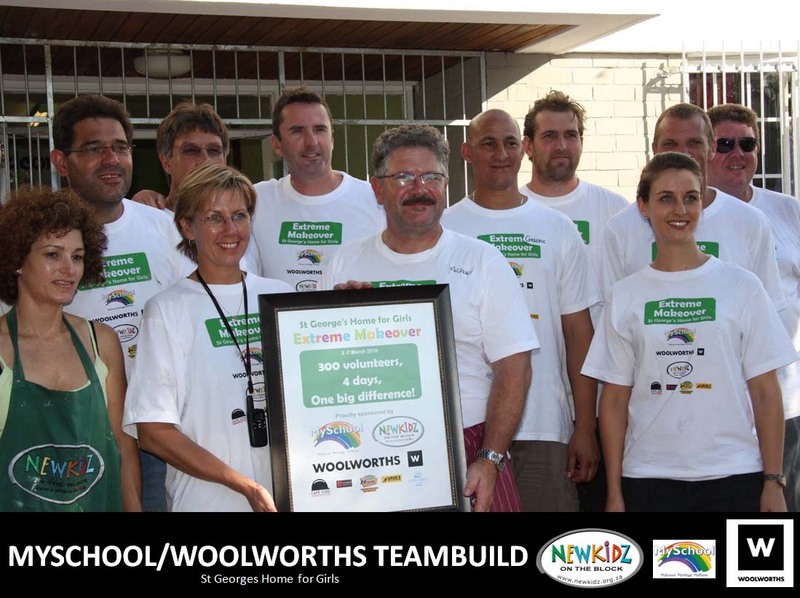 Soft finishes (bedding, curtaining etc) as required. 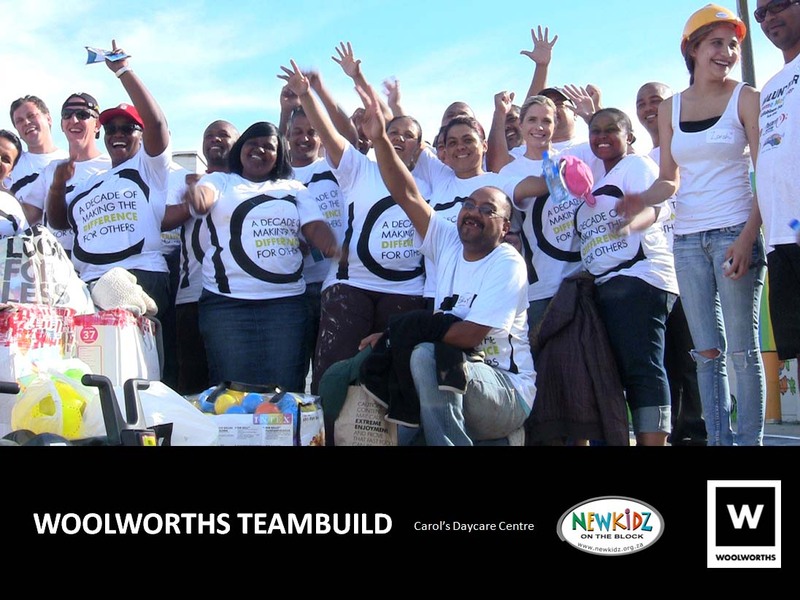 Furniture and appliances, if required. 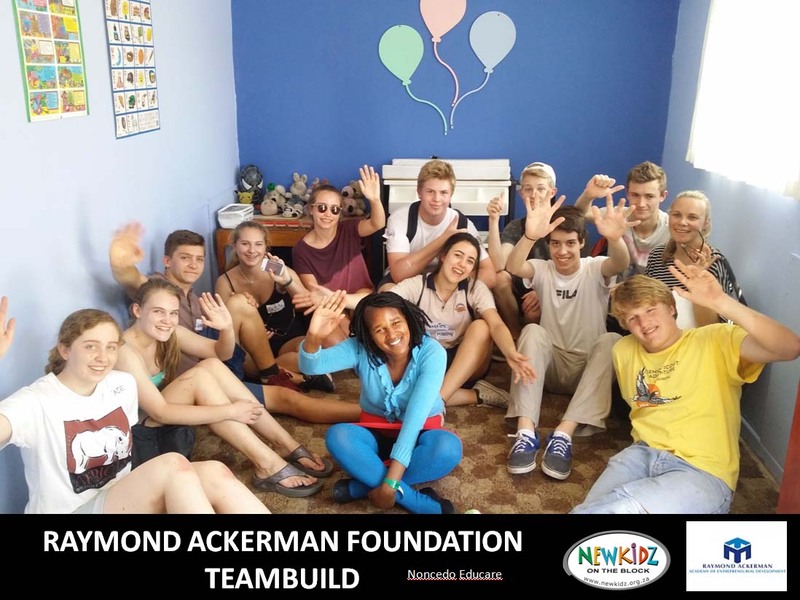 Newkidz will debrief the group, giving an overview of Newkidz, the project and house rules prior to starting their work.